These oyster-dredging skipjacks left their homeport of Tilghman Island, Maryland this morning before daybreak. 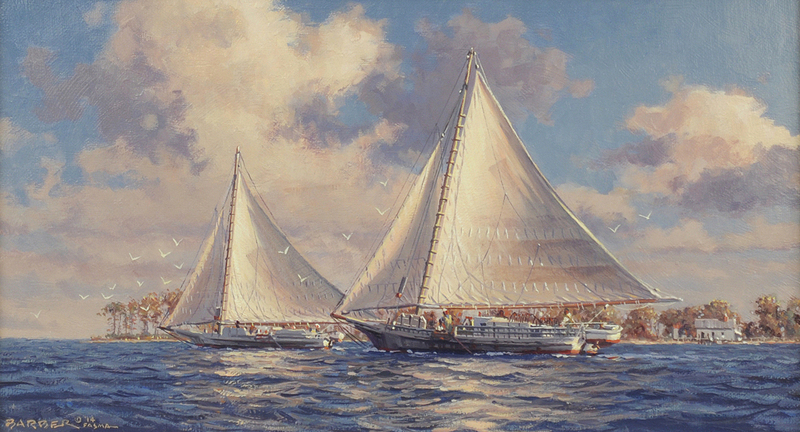 They’ve sailed east into the Choptank River on the eastern shore of the Chesapeake Bay. 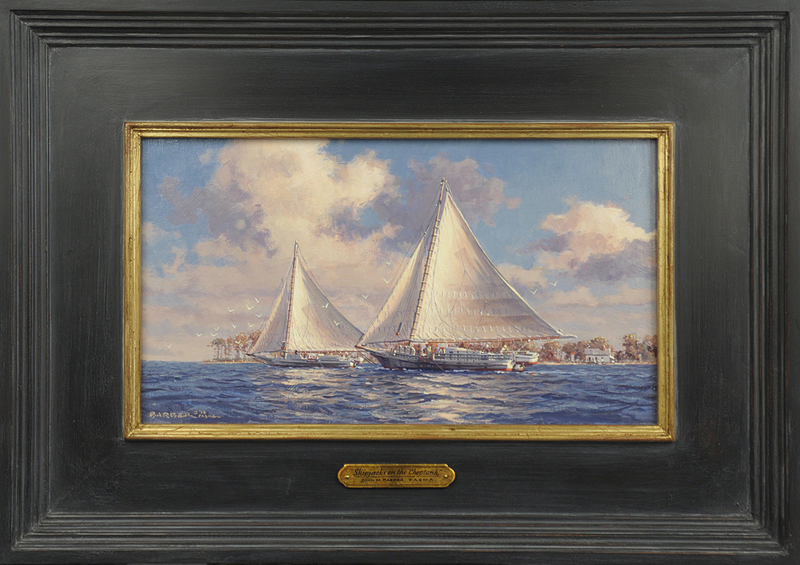 We see the skipjack Ralph T. Webster here “making licks” over an oyster bar near shore with another vessel nearby. They drag heavy iron dredges across the river’s bottom collecting the American oyster or Crassostrea virginica. The Webster was built in 1905 in Oriole, Maryland. These are the last remaining fishing vessels to work under sail on North American waters. There were about 1,500 of them working the bay in the early 1900s but have dwindled to but a handful today. Beautifully presented in a custom-made “Antwerp” style, hand-rubbed black and gold frame. As with all originals purchased directly from me, this piece comes with a handsome “House of Troy” painting light attached complimentary. [$60 value].